Cubmaster Mike Visger, of Pack 108, leading a pack meeting. Longstanding Cubmaster Mike Visger of Brodhead Pack 108 is stepping aside on Feb. 28, 2019 after dedicating 13 years to the position. Visger became a den leader in 2005 and took the role of Cubmaster in 2006 after Joe Sandlin stepped down. 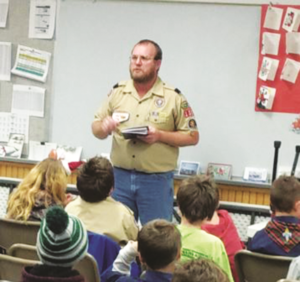 Visger made the decision to step aside from the Cubmaster position because his youngest son is crossing over into Boy Scout Troop 108, Brodhead, Wis. 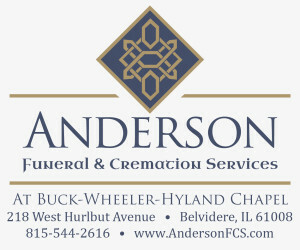 He will remain an assistant Cubmaster, den leader and Cub Scout committee member because he enjoys working with the scouts. Visger has been Scoutmaster for Troop 108 since 2011 and will remain in that role. Domanic Wiegel is taking over the Cubmaster position Feb. 28, 2019.